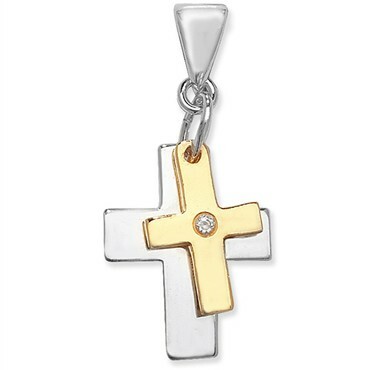 Two darling little Crosses, one in Sterling Silver, the other Sterling Silver covered with 9ct Gold, with a dazzling little cubic zirconium placed at its centre. Perfect for everyday wear and extremely popular as a Christening gift. Crosses: 1.7cm & 1.4cm.